Cut the organdy cloth into small square pieces approx. 3.5″ as in image 1. 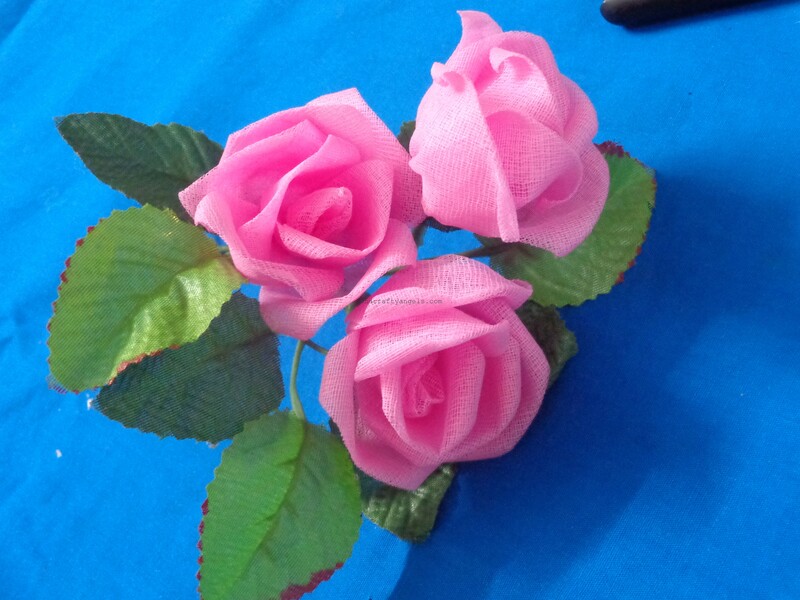 Your organdy rose flower size will depend upon the size of the pieces you cut and also on number of petals you add. Fold it again, but this time, the other two corners to the marked crease as in image 4. Your organdy rose flower petal will look like image 9 & 10 once you have finished curling. 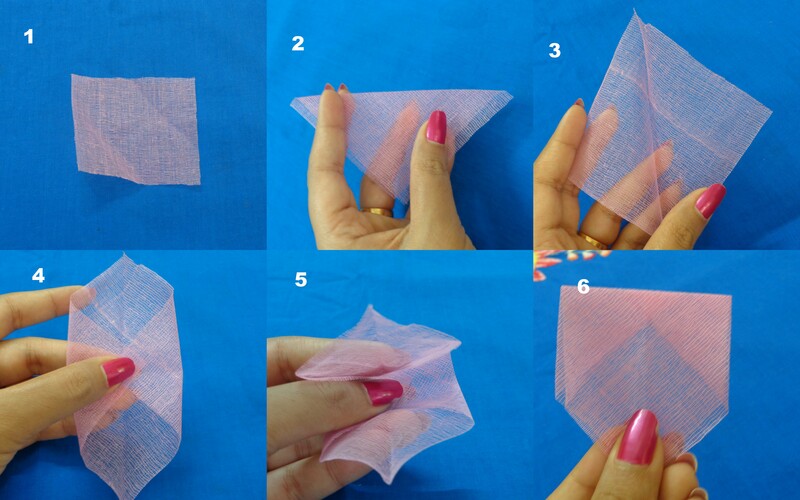 Next, simply gather the triangle end of your organdy rose flower petal as in image 12. Keep in mind that the area of petal below the toothpick marking in image 11 has to go in the gathers so that the cut edges aren’t visible in the petals. As shown in image 14, with the help of your thumbs on the petal side opposite to the curls, try to bring a curvy shape to the petal. Take your square piece, fold into a triangle, and simply gather the raw sides as in image 17. Place your hook within this piece and tie it up in such a way that the hook is tightly secured within the center bud of organdy rose flower. and tada!!! your organdy rose flower is ready :). 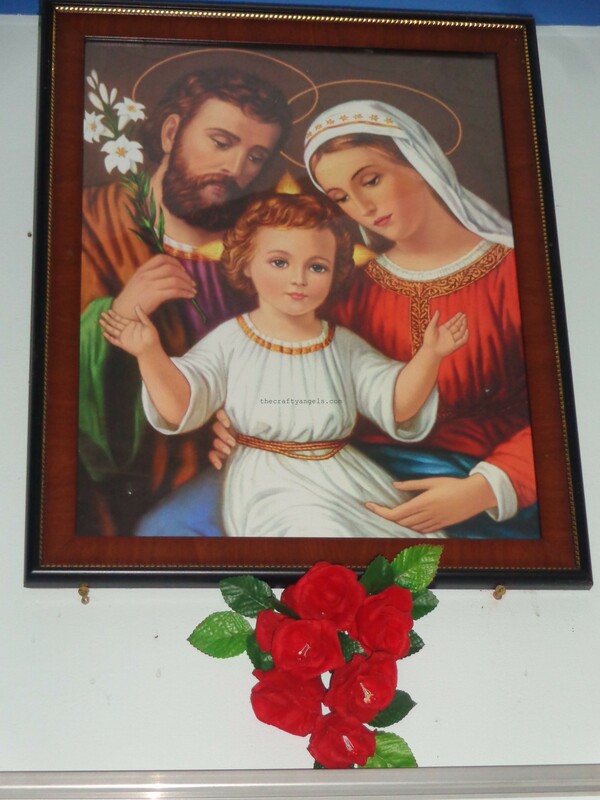 Here I have used ready-made artificial leaves for the rose. How to use organdy rose flower – IDEAS! Use them as wall hanging around or below photo frames like above. Turn them into a DIY wedding flower bouquet. Attach them to hair accessories like a hair comb or hair band. 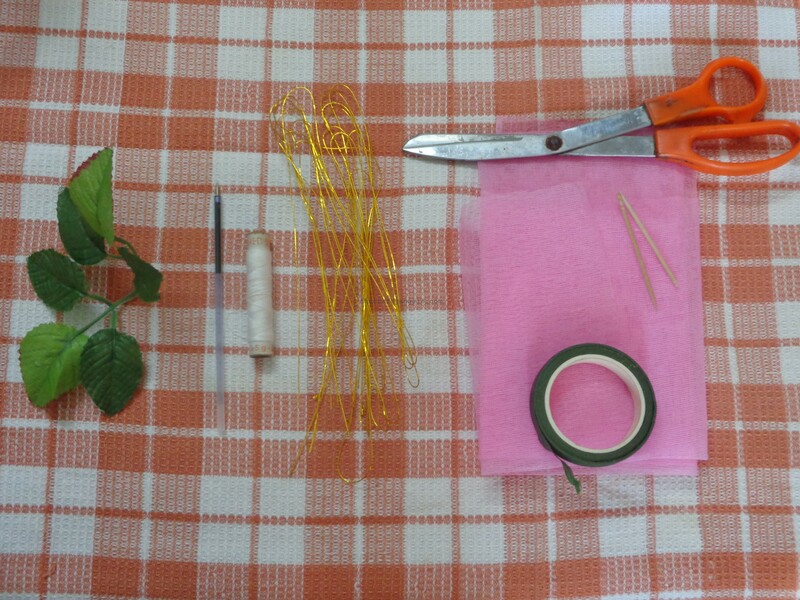 Did you like this tutorial on organdy rose flower making? If you did like it, do hit the like button and also share it with your friends. 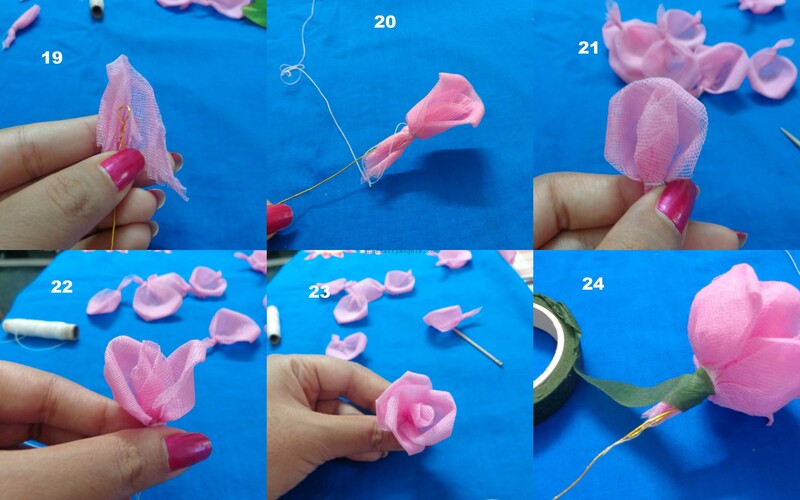 If you have similar ideas on organdy roses or if you have tried out this tutorial, do e-mail us and share you joy 🙂 We shall be more than happy to feature your works in our blog. very easy , nice & helpful tutorials.